Mannie Odaimy Shahdan was born in Beirut in the early 1850s. 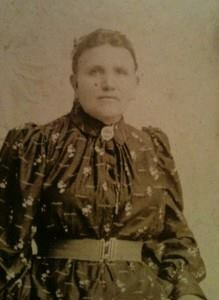 She married an Egyptian man and had six children with him, but migrated alone to the United States in 1891. Mannie lived in the Syrian Colony in New York, located in what is now the Lower West Side of Manhattan. Having succeeded in the risky endeavor of coming to a new country and starting a business, she became the busiest midwife in the community. It is not known how many babies she actually delivered, as birth certificates were often not created for Syrian immigrants. Mannie passed away in 1908. For more information about Mannie Odaimy Shahdan, visit http://news.chass.ncsu.edu/?p=12737.